Allround Motorcycle Renting is one of Germanys most experienced rental companies. We are renting motorcycles for more than 30 years – from small scooters, choppers, to sport bikes and big touring bikes. We are situated just a few kilometers from the Frankfurt International Airport, which is a big advantage for visitors arriving in Frankfurt. We have more than 150 bikes from manufactures like Harley Davidson, Indian, BMW, Ducati, Yamaha, Honda, Kawasaki, KTM and Peugeot to offer. Bikes from other manufactures are available on request. Motorcycling is our passion. Give us a call, we’ll be happy to help you! 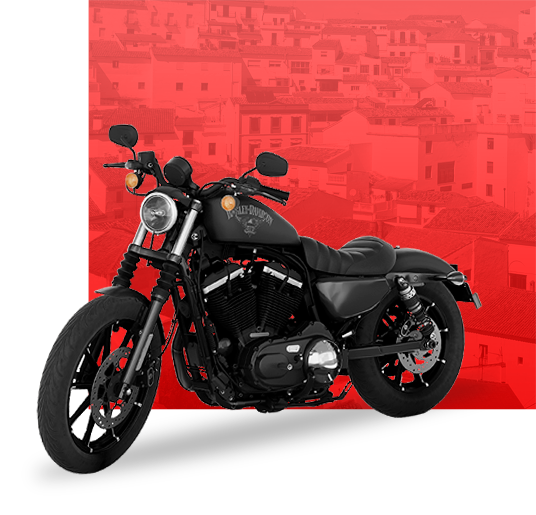 From small choppers to sport bikes to big touring bikes – we offer beginners, hobby, tour, chopper and sports riders a choice of approximately 150 motorcycles. A list of all bikes can be found in this overview. Rental helmets, rain gear, saddlebags, tank bags, cases and navigation systems are also available. We will equip you with everything you need, no matter what kind of tour you are planning. Take a look at equipment. Motorcycles are serviced in our own garage and a maintenance check is done prior to every rental. By the way: Roughly every 3 months we are selling our rental motorcycles at very attractive prices. Give us a call, because motorcycling is our passion.